Riverside agency director indicted. How to ‘Shortchange,’ abused and neglected children without really trying. 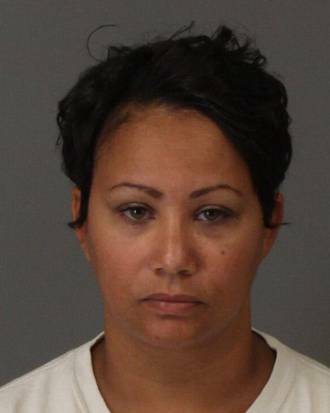 Vivian Lieska Benn, the CEO and owner of the Riverside ‘ Family Hope,’ Foster Family Agency, was charged with 6 felony counts of embezzlement and money-laundering. Ms. Benn is accused of spending about $400,000 in public funds, which were allocated for the care of abused and neglected children. The public money was spent on such things as Ms. Benn’s personal mortgage, trips to various casinos, assorted ATM withdrawals, cruises, timeshares, and those cute red shoes in the window at Bloomingdales, which she just had to have. The District Attorney opened an investigation, when an audit revealed hundreds of thousands of dollars were missing. This led to evidence of money laundering and embezzled funds. Apparently, the Riverside County Auditor-Controller’s Office, and their District Attorney, who initiated a 3 year investigation after the audit, take these things more seriously than do our Los Angeles County counterparts. This is the first time in memory, one recalls an actual indictment, because of financial improprieties from a foster agency director, CEO, or board member. And it took Riverside county to do it. Now lets get this straight. Benn is accused of stealing close to a half million dollars (that we know about), from monies meant for foster children. Yet the abused and neglected children were never “shortchanged?” Does this spokeslady really believe this? The abused and neglected children weren’t shortchanged? Consider all the monies which were siphoned, and contemplate the good that money could have done. What extra services and benefits would our foster children have received? Tutors, lessons, heck, some of these kids haven’t been to a movie in years, let alone a Dodger game. We are talking about stuff. Stuff to make the lives of foster children a little less miserable. And according to the D.A, Vivian Benn took the money to the casino. And one doubts she succeeded on her double down. Now in Los Angeles county, there never seems to be a prosecution of a bad guy or gal. Not for paying ghost employees as a favor to your mob buddies, not for buying condos, and not for having friends and family on the payroll even though they are sick at home, or living in another state. And no county concern, for working a few hours a week, yet being paid full time 6 figured salary. Previously, the only consequence of skullduggery, was the agency being closed down, along with the return of a fraction of the missing dollars. This only happened after strained negotiations with agency attorneys, who behaved and were treated by county officials, as if the discredited agencies had the upper hand. Ms. Benn, who has been involved with other children agencies in the past, including one called ‘Hintons Manor,’ has made a good living providing for our child abuse victims during the past decade. At Hintons Manor, during the years 2004, and 2005, Ms. Benn has salaries listed at about $100,000 annually. Then in 2011, which is the only other tax return listed, this same agency is documented as having negative assets and liabilities. And why are there no tax returns for the missing years? This all presumably happened, during the same decade as the money laundering and funneling of funds into shell accounts, which took place at the the Family Hope Foster Agency. Benn was a busy lady. And there are legitimate doubts regarding the effectiveness of her lucky number at the Pachanga Casino. Three cheers, and the sound of one hand clapping to Riverside county officials, who got it right. Yes it is “small potatoes,” in the scheme of things. Well, small potatoes, except to the abused and neglected children. Because, unless you are the spokeswoman for Riverside County social services, who noted all was well, these foster children are always shortchanged. Big government foster care: For mediocrity to triumph, indifferent people do little. Residents of Los Angeles County, reeling from allegations of gross incompetence and probable negligence by Department of Children and Family Services (DCFS), have been blessed with the creation of a blue ribbon commission, set up by county supervisors. The allegations arose after social workers and supervisors failed to prevent the torture and murder of a young child in Palmdale, despite ample evidence that the child was in great danger. DCFS director Browning moved to immediately fire four employees associated with this tragedy. Seeking to fire employees so quickly is in itself is a kind of reform, since union rules, including a ridiculous appeal process, make it almost impossible to fire a social worker for mere incompetence. Similar incompetence once resulted in a two-week suspension. Just ask Rocio La Voie. Ms. La Voie received a ten-day suspension for actions not so different from the incoherence exhibited by the four employees associated with the horror in Palmdale. Indeed, Ms. La Voie believed that her original suspension was too harsh, and appealed it! Mr. Browning has his hands full with recalcitrant unions, a much too high percentage of impossible-to-fire employees, and politicians who have gotten it wrong, decade after decade. During the past 15 years, the number of children in foster care has decreased from a top of over 65,000 to a little over 21,000 today. Yet the budget for DCFS is within about 10% of what it was, when foster care placements were at a peak. By any measure, this large reduction in foster care placements, while maintaining a similar budget, should have resulted in significant savings, as well as a huge improvement in overall care for our abused and neglected children. Yet there has been no savings, and by all accounts, no improvement in overall care. In the Palmdale case, Mr. Browning has shown a willingness to take on the union, as a first small step towards real reform. However, it wasn’t such a difficult call, since the incompetence demonstrated by these workers was so egregious. The test will come from future cases, which won’t have a tortured child and extensive media coverage. The head of the commission is David Sanders. David Sanders was a previous director of DCFS for three years and couldn’t fix things then. Not even close. Sanders worked for the Casey foundation for over a decade and advocates the implementation of Casey’s foster care agenda, which has always included keeping children away from foster care as long as possible, maintaining and supporting at-risk families, and seeing foster care as a solution only in the most extreme cases. Some worry that this emphasis on family reunification and keeping birth families together at all cost, while noble, risks keeping abused and neglected children in birth homes for too long a period, risking further abuses. The county now wants to hire an additional 150 social workers and extend training for up to a year. An earth-shaking event occurred recently when a social worker in training recently flunked out of the Academy. The shortage of social workers was so acute that everyone who entered this training Academy would pass. Think about that for second, and be very afraid. DCFS director Browning has promised to put a stop to this practice, and there is no reason to doubt his word. And finally, the most recent kerfuffle is the continuing drama of children’s services inability to find placements within 24 hours, for foster children removed from their homes. The holding locations don’t have enough volunteers to properly feed and or manage the needs of infants, or maintain order, in controlling a volatile mix of young teens from various backgrounds. The police were called on more than one occasion. This is reminiscent of the old McLaren Hall, which in the bad old days sort of functioned as a jail for foster children, who couldn’t be placed in foster homes. To be fair, no child spent more than a few days in these holding centers. And nobody believes that it’s optimal — not even the Times, who get to write about it every six months or so. The situation is so bad that various nonprofit law firms are threatening lawsuits and fines to force the county to allocate funding to mitigate the problem. A tall order during bankrupt times. The publicity surrounding the torture death of Gabriel Fernandez in Palmdale caused an increase in the number of calls to the hotline. The county had more foster children than they could handle. Ominously, this meant numbers of abused children would not have come to the attention of authorities without the publicity from this murder. Director Browning plans to increase contracting with nonprofit foster agencies to meet the demand for bed space. However, the concern, as always when it comes to agency nonprofits, is how far DCFS will go in overlooking unscrupulous practices to assure that the county has enough bed space (read: money) for abused and neglected children? Audits have shown mismanaged spending and large financial handouts to friends and families. There was always an unwritten rule that as long as the children are properly cared for, the county would kind of, sort of overlook tens of grand here and there, as long as one doesn’t take too much. Unless, of course, a child dies, in which case all bets are off. Part of the problem is how CEOs of foster agencies received county contracts. Contracts were awarded to individuals who were not properly vetted and were unqualified. Often minority politics played a role toward obtaining contracts. Proposals were accepted, if completed properly, and if the agency had enough initial money to begin operations. Agency board members were never scrutinized; one was recently found to be in prison while still serving on the board of directors. It was not necessary for CEOs to have college degrees; CEOs needed only to delegate necessary tasks to those who did have proper qualifications. At some foster agencies, board members, and CEOs, were some of the least educated, and most unqualified, among their own employees! However, all this is old news, and the real scandal is that once again, it took the torture and death of an innocent child to trigger momentum towards reform. Momentum, which will eventually peter out, until the next child dies. And we begin the process all over again.